Coverage: Live commentary on BBC Radio Scotland 810MW/DAB and online. 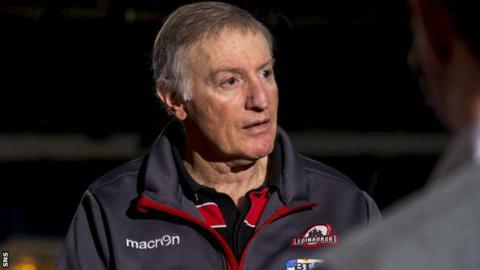 Edinburgh head coach Alan Solomons says he expects Glasgow Warriors to be "fired-up" for the second leg of the 1872 Cup at Scotstoun on Saturday. The capital side take a 23-11 lead into the return fixture after a convincing victory at Murrayfield on Sunday. "We haven't beaten them there in 12 years," Solomons told BBC Scotland. "It would be a big achievement and we know it is going to be a massive task, but we know what awaits us and we are looking forward to that challenge." Edinburgh reached the final of the European Rugby Challenge Cup in 2015 before going down 19-13 to Gloucester and Solomons says the club are on target to achieve their goals heading into the new year. "I think we've made constant progress," explained the South African. "At times, we've taken a step or two back, but we've always ultimately gone forward. "I think we are pretty much on-track with what we want to achieve. We have got a clear vision for the club. "We had a strategy in terms of what we needed to build the club and build the team and I think we are moving in the right direction." Solomons took over the reins at Murrayfield in August 2013 and set about bringing structure and discipline to a somewhat disparate playing group. 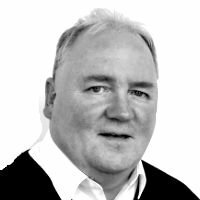 A more conservative style of rugby than the expansive and flaky Edinburgh of old, and a batch of southern hemisphere recruits, did not always endear him to the Scottish rugby public. "You don't get an opportunity to sit down with people and explain to them what your vision is," said Solomons. "Perhaps people that are not on the inside don't have a clear understanding of where the club was at the time I arrived, so that's understandable. "The fact is, for me, the most pleasing thing is to see the progress we have made. "In 2015, we played in the final of the Challenge Cup, which I think was incredible. "2015 started when we played the return game against Glasgow and won the 1872 Cup. That's one of my best rugby moments. We shocked a lot of people. "The big thing for us this season is to try and get a top-six place (in the Pro12) and get an opportunity to play in the European Champions Cup." Meanwhile, prop Rory Sutherland is anticipating a similar sort of game in the Scotstoun clash this weekend. "We had a good win, we had a really good start to the season beating Leinster, Ulster, winning four games on the trot," he said. "Then went a little bit inconsistent. We've come back again and it's nice to back that up with a win against Glasgow. "I don't see it being that much different. I don't see why we can't go there and do the job again."